Infiniti has revealed that its August 2015 sales figures have seen an increase of 19% in comparison to the same period last year. Worldwide sales of 16,900 vehicles last month made Infiniti history as the best August, and means the Japanese company has now reached a 12-month streak of best individual months on record. Since the beginning of the year, Infiniti has sold more than 136,700 vehicles, which is up 14% from the first 8 months of 2014, and again sets a record for this period. Roland Krueger, President of Infiniti Motor Company Limited commented: "The August result continues to be encouraging. Infiniti is keeping up the momentum to establish itself as a global premium automotive brand." He continued: "Infiniti will maintain this momentum by offering iconic design, an expanded range of products, and an exhilarating driver experience. At the upcoming Frankfurt International Motor Show, we will introduce our all-new Q30 active compact," said Krueger. 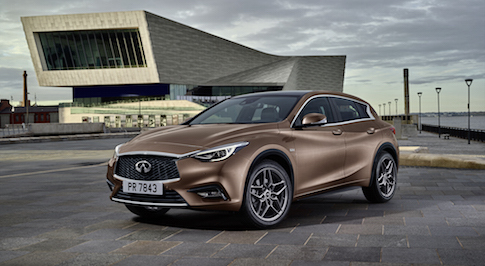 "The Q30 will offer powerful design, premium materials, latest driver assistance technology as well as the ride and handling characteristics typical for Infiniti."